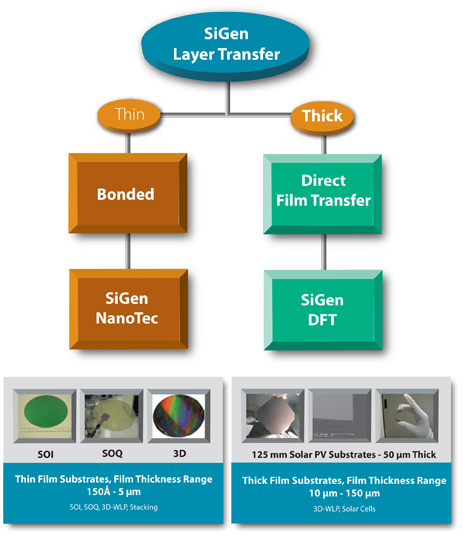 SiGen has developed a layer transfer regime called NanoTec™ thin film layer transfer. This patented layer transfer technology allows a very thin layer of material to be transferred to a "handle" wafer, resulting in an engineered substrate for advanced device applications. This is a low temperature process, which allows a wide variety of different materials to be successfully combined to form engineered substrates.